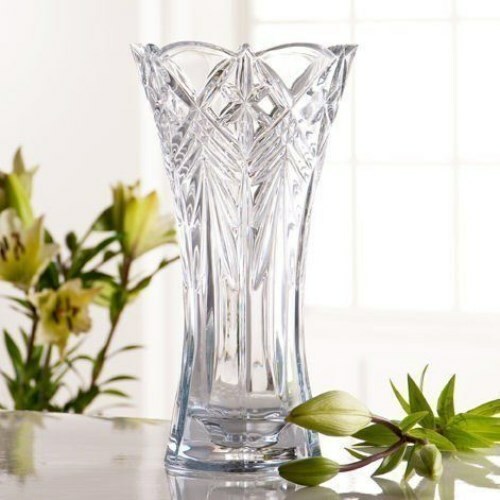 Galway Crystal Symphony 12" Vase. Elegant cut crystal with delicate detail in the design of this vase. This is a heavy item reflecting the quality of the glass. The fluted design makes it easy to display a beautiful arrangement of cut flowers. Presented in a Galway Crystal Gift box. Bought this for a friend's birthday and she loves it! It is a beautiful vase, excellent quality and would thoroughly recommend it. It was also extremely well packaged.